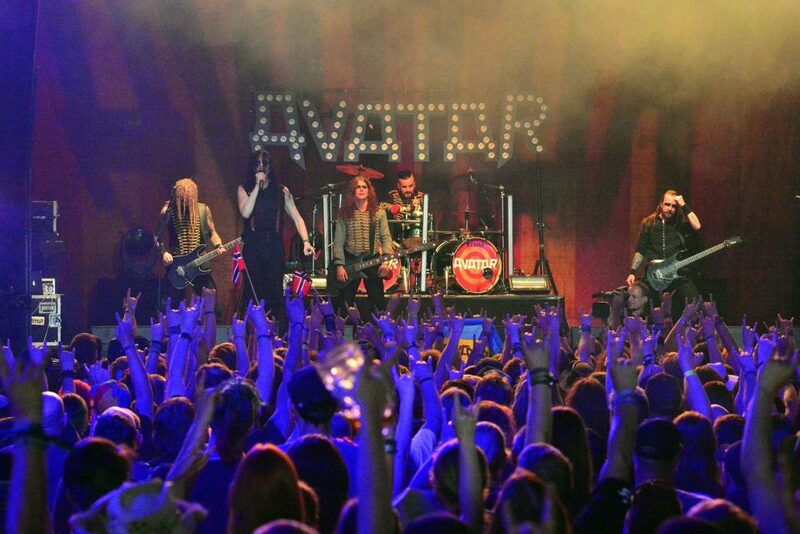 Swedish heavy metal group Avatar brought their demented freak show stage act to Fargo on Trivium’s tour. Fargo got hard and heavy on a Tuesday night with the sold out The Sin and the Sentence Tour featuring Trivium, Avatar and Light the Torch at Sanctuary Event Center Oct. 23. Longhaired men clad in Mastadon T-shirts and black jeans and women with dark smokey eyes and chunky heels began lining up an hour before the doors opened in anticipation. Those waiting to buy tickets at the venue were sadly out of luck, as it was announced the show was officially sold out 10 minutes before the doors opened. As this was an all ages show, the beer garden was separate from the main floor and all alcoholic beverages were only allowed in the bar. VIP fans were given the balcony of the Sanctuary Event Center and their own bar, as well as a meet and greet opportunity and fast pass to get into the venue. The show started with an electric performance by Light the Torch, a metalcore supergroup composed of members from Killswitch Engage, All Shall Perish, Devolved and Bleeding Through. The band recently released their third studio album, “Revival,” and played multiple songs from the album. With Howard Jones’ vocals, it is hard not to associate the band with Killswitch Engage. While Light the Torch is not as popular as each member’s main bands, fans Tuesday night recognized the shear talent of its members and enthusiastically cheered them on. From the beginning of the interim music, Avatar fans knew what was next. 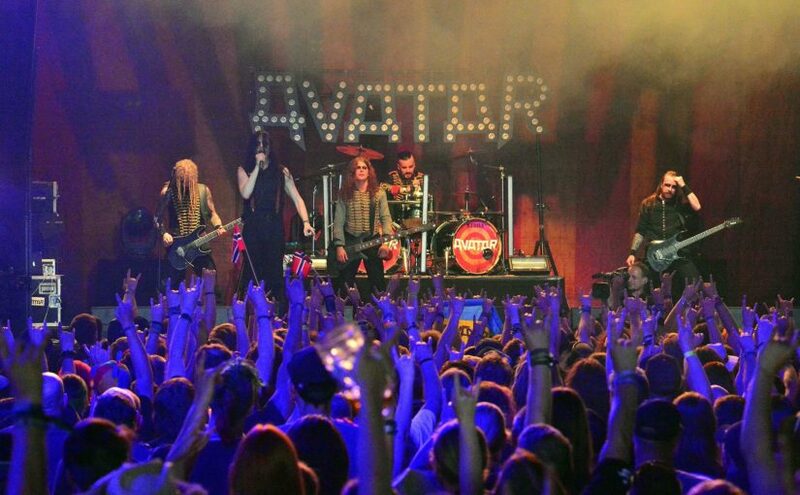 The old timey dance and carnival music all tie in with the Swedish metal band’s carefully cultivated image. The band’s signature interpretation of metal blends classic rock with a heavy twist. Playing through their entire catalog while Eckerström drank what one can only hope was water from a gas can, Avatar started the hair windmills and the first mosh pits of the night. The main event, Trivium took the last slot of the evening, riding the wave of energy that had steadily grown all night. This being their fourth time in Fargo, lead singer Matt Heafy encouraged the audience to be the best Fargo crowd yet, stating that St. Paul, Minnesota was the best audience on tour so far. Enthusiastic chants of “F— St. Paul” rang through the venue, reassuring Heafy they were up to the challenge. Huge mosh and circle pits took up the entire middle of the venue’s main floor for a majority of Trivium’s set, even pushing me against the railing as far back as the sound booth. A high-octane night filled with enthusiastic fans and high caliber bands, there is no doubt a majority of the audience left with necks stiff from headbanging and devoid of voices.